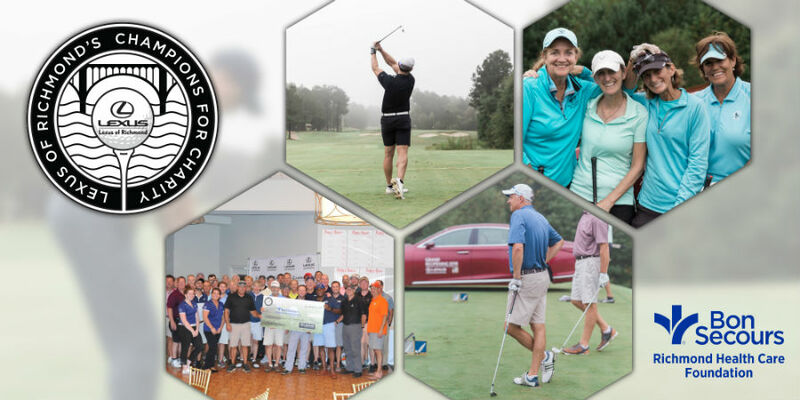 Bon Secours Richmond Health Care Foundation is proudly partnering with Lexus of Richmond to impact the families in our community through a charity golf tournament to be held on June 10, 2019 at Independence Golf Club. In our work together, the tournament builds awareness and raises funds for critical children’s services and remarkable health-focused opportunities in Richmond’s East End. If you'd prefer to pay by check or be invoiced, please download this form here, fill it out and mail it in to the address on the form. For complete information about the tournament, please download this brochure.